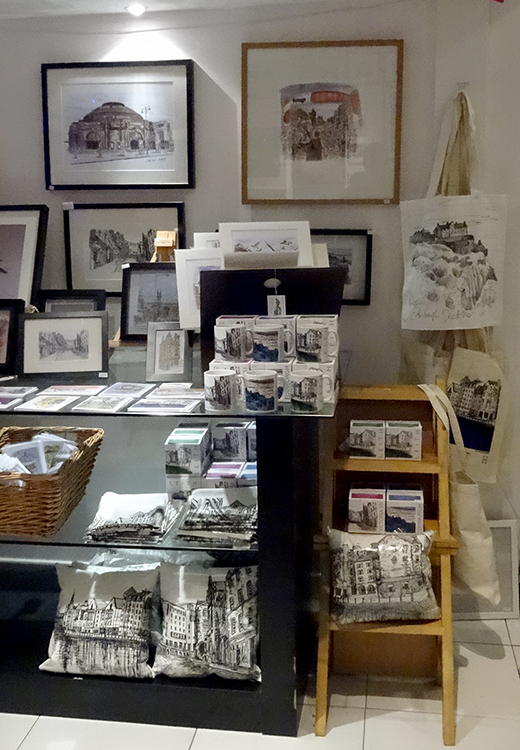 Yesterday I was restocking at the Scottish Design Exchange in Leith’s Ocean Terminal shopping centre. 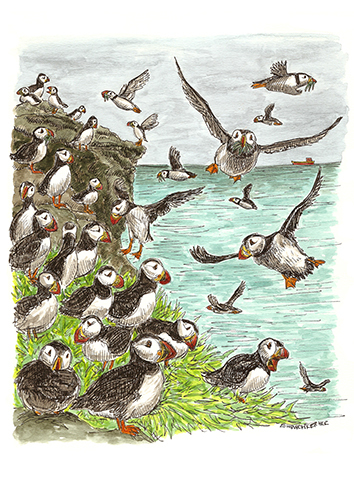 After a busy Christmas for the relatively new art gallery and all round creative hub that is SDE is was good to take a step back and freshen up the shelves, adding a few new lines, such as this puffin illustration available as an A4 mounted print for £28. The not for profit shop concept, by founder Linzy Leroy is to bring artists and designers together to share a retail space that benefits the community. Proving a great success, and still in its first year, the super location in Ocean Terminal provides a retail outlet for many independent designers and makers that wouldn’t usually have access to sell on the high street. I love the idea and the community of creatives that is being built there. Get along yourself and have a look around, there is some truly original pieces to see, perfect for a bespoke gift, for a friend or yourself! Ocean Terminal has plenty of free parking and is on the bus route for numbers 11, 22, 34, 35. May I reserve a copy of the picture of Andy Murray?